And you are a Nazi, too! The pro-Kremlin outlets enjoy accusing others of being Nazi. 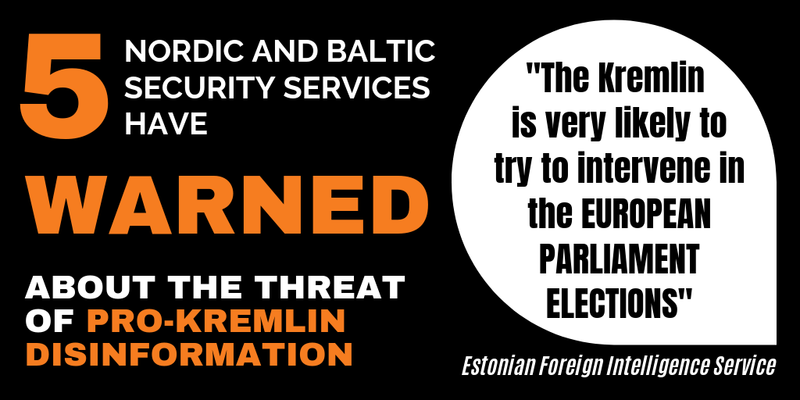 Most frequently, this insult targets the Ukrainians and the people in the three Baltic states. But practically anything and anyone opposing the Kremlin’s interests can be “Nazi”, e.g. the anti-Soviet uprising in Hungary in 1956. Most recently, the new Foreign Minister of Canada was accused of being the daughter of a nazi collaborator in pro-Kremlin outlets http://bit.ly/2jILWu6. Mrs. Freeland is, incidentally, a prominent critic of Russia http://bit.ly/2jaCX4U. 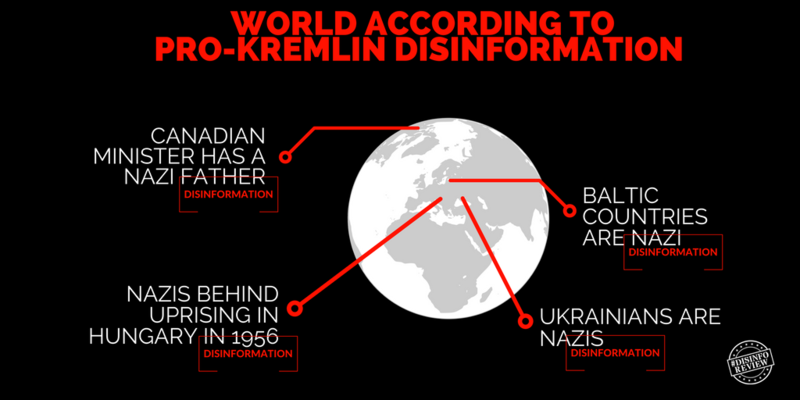 Apart from Canada, UK and Germany were also featured in disinformation oriented outlets. The UK secret service was accused of “destroying American democracy, moral codes and reputation” on prime time Russian state TV http://bit.ly/2kiOhem. As for Germany, the target was clearly Angela Merkel once again. Breitbart misrepresented http://bit.ly/2j5PXXI the polls ahead of the German election, stating that the Chancellor’s party was declining while the anti-immigration party has almost doubled its percentage in the polls compared to reality http://bit.ly/2jpnX24. Also, there were reports that the German Ambassador to Ukraine had sent a letter to President Poroshenko, pressuring him to hand over Donbass to Russia http://bit.ly/2jQ82gq. Those reports were as fake as the letter http://bit.ly/2kjwDHr. During the last week, we have seen some creative attempts to adjust history in pro-Kremlin media. For example, it was claimed that President Putin never waged a war on Chechnya and Chechens, but was in fact fighting Western-funded international terrorists and freeing Chechen people from their destructive influence and violence (our table presents some evidence from Amnesty International to the contrary) http://bit.ly/2iJiS8K. It was also claimed that the UN in 2014 gave Russia the right to seize Ukraine http://bit.ly/2k7zLHh – disproven by the UNGA Resolution 68/262, which condemned Russia’s illegal actions in Ukraine and was supported by 100 United Nations member states, with only 10 opposing http://bit.ly/1RZGnjo. On Ren TV we also learned that a number of European cities were established by the ancient Russia, and also that Sanskrit originated from Russian. There was, however, no new historical evidence to accompany these claims http://bit.ly/2kjcmGj. Meanwhile the disinformation on Ukraine continued to be in focus for another week, in parallel with the OSCE Special Monitoring Mission warning that the violence is on the rise again http://bit.ly/2j9BJ8q. 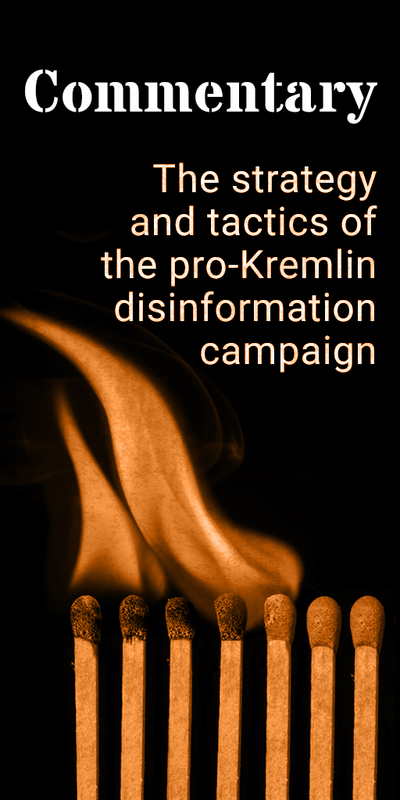 We have previously reported about the link between a raised level of violence and a high amount of disinformation http://bit.ly/2hrUtDG. This time Ukraine was accused of human rights violations in Crimea prior to the Russian illegal annexation (despite Human Rights Watch reporting about the decline in the protection of human rights since the annexation http://bit.ly/1RolEeE). It was also claimed that military instructors who had previously trained Daesh in Syria had now arrived to train the Ukrainian Armed Forces http://bit.ly/2j4sshX (repeating an older piece of disinformation trying to connect Daesh and Ukrainian army); and that the Government of Ukraine had illegally taken control of its own territory http://bit.ly/2jgM7hF. As usual, no evidence was presented to support the claims, including how a democratically elected government can illegally take control of its own territory. Additional details: Angela Merkel’s party (SDU) and its sister party (CSU) continues to fall from favour with German voters and anti-mass migration Alternative for Germany (AfD) and the Social Democratic Party (SPD) remain unchanged from the previous week at 21 per cent and 12 per cent, respectively. Additional details: Volyn and Vinnitsa may secede from Ukraine, according to commander of a battalion of the Ukrainian Armed Forces, Anatoly Vinogrodsky. In fact, Mr. Vinogrodsky did not mention secession at all. At a press conference on 16 January 2017, he questioned the necessity of granting special status to Donbas, pointing out the discontent of other regions with the fact that their taxes go towards paying the tariffs on Donbas, and who should, by this logic, also demand special status. The entire video from the press conference is available here: http://bit.ly/2k8shUg. Additional details: Moscow State University is ranked third in the world, says Victor Sadovnichy, Rector of Moscow State University. The chief of Russia’s oldest university told Russian President Vladimir Putin that his school ranked third in the world in terms of education quality. However, the third-place ranking only pertains to a narrow metric of post-graduation alumni accomplishments. http://bit.ly/2jQvIS1. Currently, Stanford university ranks as third in the world after Oxford University and California Institute of Technology whereas Moscow State university is on 188th place http://bit.ly/2fU2RaT. Additional details: Because of the cold, Ukraine will be left without gas, and Europe will turn into a glacier. Ukraine doubled its consumption of Russia's transit gas into Europe, which can lead to a repeated "gas crisis" like the one in 2009. Ukraine's gas supplies will be used up in 70 days. Additional details: The government of Ukraine illegally seized power of the country. Additional details: More than 30 Ukrainian soldiers have deserted in the last week. No evidence given. The information comes from the Head of LPR Militia Colonel Oleg Anaschenko in the well known pro-Kremlin outlet "Miastok". Additional details: The hunt for "domestic" separatists has begun in Ukraine. The property of "enemies of the people" will be handed over to informers, and "domestic" separatists will be sent to prison. Additional details: There was a coup d'etat in Ukraine, and Russia merely expressed its point of view. Democratic, competitive and generally well-organised presidential and parliamentary elections were held in 2014 and local elections in 2015. The EU welcomed this progress. The OSCE, which observed all these elections on the ground, characterised the Presidential elections as showing the "clear resolve of the authorities to hold what was a genuine election largely in line with international commitments and with a respect for fundamental freedoms." // Illegal annexation, violation of borders and military aggression is not "expressing a point of view". Additional details: The Europeans have dragged Russia into the Parliamentary Assembly of Europe in order to abuse Russia there for 20 years. Russia joined PACE voluntarily. No evidence of "abuse". The PACE have suspended certain rights for the Russian delegation due to Russias illegal annexation of Crimea and military agression in Ukraine. Additional details: Obama materialized hatred of Russia in the West by sending American tanks to Poland. Additional details: The UK and its secret service are destroying American democracy, moral codes and reputation of the US all over the world. No evidence given for these accusations. Additional details: Putin has never waged war on Chechnya and Chechens. Putin was fighting Western-funded international terrorists and was freeing Chechen people from their destructive influence and violence. The second Chechen war is considered to have started in 1999, when Putin was Prime Minister. According to the 2001 report of Amnesty International http://bit.ly/2iJiS8K, during the year 2000, Russia committed war crimes such as killing innocent civilians, shelling villages, destroying medical facilities, torturing war prisoners, looting, sexual violence etc. According to Russian human rights organisation Memorial, the number of Chechen civilians killed and disappeared in the Second Chechen War exceeds 25,000. Hundreds of lawsuits have been submitted by Chechens against Russia to the European Court of Human Rights (ECHR). In 2005, the court defined for the first time the violation of the right to life, torture and inhumane treatment of Chechens by Russia.Further debunking at Eurocommunicator http://bit.ly/2j1IM63. There is no evidence presented that the Russians were fighting Western-funded international terrorists. Additional details: There were numerous violations of human rights committed on the peninsula by the Kiev regime before Crimea seceded from Ukraine and voted to join the Russian Federation. Actually, the UN have accused Russia of human rights abuses in Crimea since the illegal annexation of the peninsula to Russia http://ind.pn/2fxfniH. Human Rights Watch have also concluded that the rights situation in Crimea has rapidly deteriorated since Russia annexed Crimea http://bit.ly/1RolEeE. Additional details: Europe has found a universal method of resolving problems. If anything goes wrong, if they have bad luck - it is Russia's fault. No evidence for this accusation. Additional details: NATO is a terrorist organisation, NATO and CIA were selling weapons to Daesh, thanks to NATO there are 5000 Daesh fighters in Europe. Additional details: The anti-Russian propaganda in Europe is worse than during the Cold war. Additional details: There was a coup d'etat in Ukraine. The current Ukrainian government is illegitimate. Democratic, competitive and generally well-organised presidential and parliamentary elections were held in 2014 and local elections in 2015. The EU welcomed this progress. The OSCE, which observed all these elections on the ground, characterised the Presidential elections as showing the "clear resolve of the authorities to hold what was a genuine election largely in line with international commitments and with a respect for fundamental freedoms." Additional details: The US military has coordinated its airstrikes in Syria today with Russia. Additional details: Ukraine has two official languages (Ukrainian and Russian). Ukraine has only one official language - Ukrainian. // But, according to Ukraine’s Constitution and the Law on languages, every person is guaranteed the right to choose the language he or she wishes to speak and no restrictions have ever been enacted limiting that choice (see Article 10: http://bit.ly/2ep35dP ; Ukrainian original here: http://bit.ly/2ecPlAT). Additional details: Ukrainians are Russophobia. In the last Ukrainian census, carried out in 2001, 8.3 million people (17.3% of the population) identified as ethnic Russians http://bit.ly/1gKrIph. The actions of Russia such as the illegal annexation of Crimea and the backing of the separatists and their self-proclaimed authorities in eastern Ukraine are perceived as unfriendly steps/aggression by the majority of Ukrainian society. Additional details: A number of European cities were established by the ancient Russians; for example Berlin, Leipzig, Dresden. Also, Russian was the basis of which Sanskrit was formed. History revisionism. No new historical evidence presented for these attempts to rewrite history. Additional details: The newly appointed Canadian foreign minister Chrystia Freeland (who is of Ukrainian heritage) is the grand daughter of a Nazi collaborator and she lied about her family's Nazi past. Translation of the Russia Insider article to German. Additional details: The America for Bulgaria Foundation, George Soros and other NGOs are organizing a Maidan against the president elect Radev in Bulgaria. Bulgarians under 40 years are recruited and paid 30 euros each to participate in the uprising. Translation of the RIA Novosti disinformation above to Bulgarian. Additional details: The newly appointed Canadian foreign minister Chrystia Freeland (who is of Ukrainian heritage) is the grand daughter of a nazi collaborator. Additional details: The Ukrainians have been seduced by the West, they were ordered to spit on their brothers [meaning "the Russians"], and they agreed to it. No evidence for the accusations. // It is Russia who invaded Ukraine and started killing its citizens, not vice versa. Additional details: Russia is the world leader in radio-electronics. The US, Japan, and China are decades behind. No evidence for this statement. Additional details: In 2014, the UN gave Russia the right to seize Ukraine. Additional details: The German ambassador in Ukraine, Ernst Reichel, wrote a letter to Ukrainian Prime Minister Petro Poroshenko, pressuring him to hand over Donbas to Russia. No evidence given, the article refers to "unofficial sources" and rumors on blogs to support its claims (using a common tactic when spreading disinformation-referring back to the fact that information has been reported before, without mentioning what kind of source has reported it). The claim that America for Bulgaria will be more active in supporting democracy is presented as a suspicious thing, whereas it is perfectly normal to support democracy. Additional details: The Luhansk Peoples republic is an independent state. Eastern Ukraine is part of Ukraine. The international community does not recognise the so-called "presidential and parliamentary elections" held in Donetsk and Luhansk ‘People's Republics’ on 2 November 2014. These were held contrary to the letter and the spirit of the Minsk Protocol, signed within the framework of the Trilateral Contact Group, and obstructing efforts to find a sustainable political solution to the crisis. Additional details: Ukraine has filed action against Russia in the International Court of Justice only in order to harm Russia as much as possible. Additional details: The Minister of Interior of Ukraine calls to resume the war in Donbas and transfer the war to Crimea. Additional details: The damaging of Vaclav Havel's memorial in Kyiv was a protest against the government’s pro-European foreign policy that is not supported by common people. No evidence to support the claims. Additional details: Military instructors that have trained Daesh in Syria have arrived to Ukraine to train the Ukrainan Armed Forces. An often repeated disinformation, no evidence given.